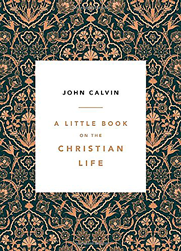 In this new translation, Aaron Denlinger and Burk Parsons capture John Calvin's biblical faithfulness, theological integrity, and pastor's heart. This is a book for every Christian to pickup, read, and apply. 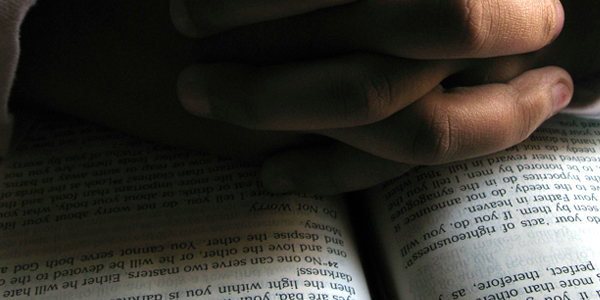 Why Men Don't Pray A short study guide used in our January 2016 Saturday Morning Men's Breakfast Bible Fellowship that covers the reasons WHY men don't pray, what JESUS says on Prayer, and thirteen reasons why men should PRAY! Below is the link to the study guide. It is in PDF format and can be either opened (viewed) in your browser or PDF reader, or downloaded to your computer hard drive. Tuesday Morning Women's Bible Fellowship Each Tuesday morning at 8:00 A.M. the Coquina Women have a Bible Study Fellowship. We are currently studying Isaiah—The Lord Saves by Kathlene Buswell Nielson. 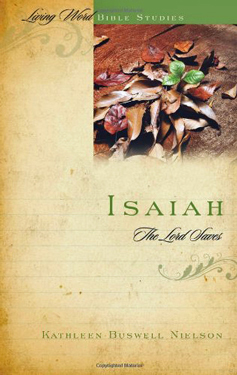 Isaiah contains some ofthe most beautiful poetry in the Bible and is a theological masterpiece, presenting God's redemptive plan. Kathleen Nielson offers depth and a clear overview, encouraging you to read with understanding and joy. Below are links to the answer keys which will be forthcoming as we get into the study. 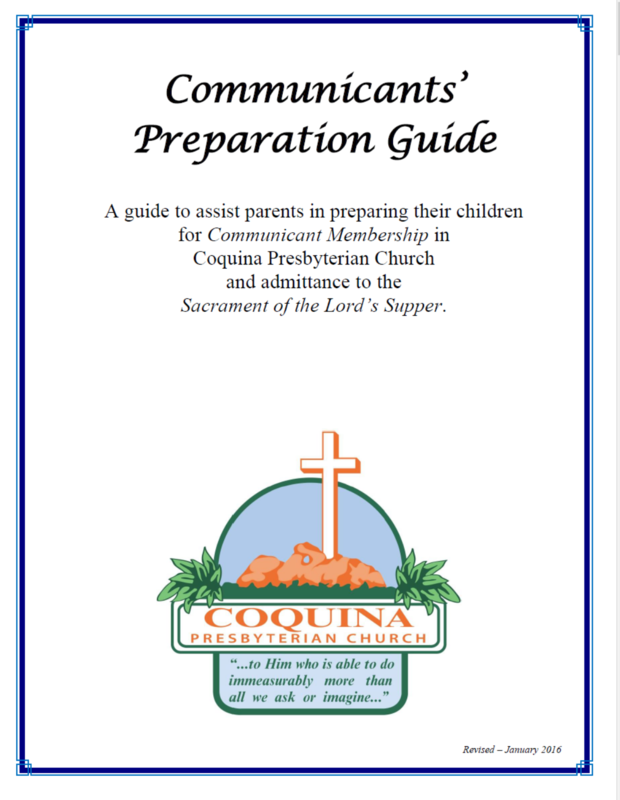 This material is written to serve as a self-study or parent guided study. There is a student guide that has space to fill in answers, and a Complete Answer Key. If you are a parent, this material will allow you to grow with your child/children and help you be the mentor to your child that Scripture calls us to be! Please contact Wolf Unger at the church who can guide you through the process - it really is a great experience and painless! Below are links to both the Student Guide and Answer Key which can be opened (viewed) or downloaded to the computer hard drive. Revealed To Babes - Children in the Worship of God - By Rev. Richard Bacon! This will go down as a landmark work by a Pastor who is able to concisely explain from the Scriptures that God intends our children to participate with us in worship! Please contact Elder Wolf Unger who can go over some of these issues and the implications that they have for us as parents! Coquina Presbyterian LOVES children, and we love them in Worship! We will do all we can to assist you in making that happen! We do though have a crying room with the sound system piped in but that is only for the comfort of the parent when needed! 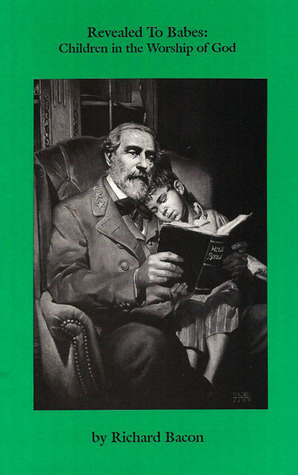 This book is no longer in print, but permission has been given by the author to reproduce and distribute this pdf version as long as no alterations are made to it and the copyright information remains intact. Below are links to the Revealed to Babes book in pdf format. It can be either opened (viewed) in your browswer or PDF reader, or can be downloaded to your computer hard drive.